Emilia-Romagna is a top European tourism destination, welcoming more than 11.5 million visitors annually and generating 50 million overnight stays. Its unique attractions – historical, cultural, artistic, social, industrial and economic – provide visitors with an authentic, all-round experience of the Italian lifestyle. The region’s brand – Via Emilia - Experience the Italian lifestyle – encompasses the incredible regional specialities of the Food Valley, some of the world’s biggest names in motor-racing, UNESCO World Heritage Sites and active holidays in the Wellness Valley (including hiking, cycling and golf). Stretching from the ski slopes of the Apennine Mountains to the theme parks and beaches of the Adriatic Riviera, the region boasts a wealth of art cities, historic villages, castles and spa towns, as well as forests, gently rolling countryside and fantastic shopping. Emilia-Romagna can host large groups and accommodate large-scale events, thanks to more than 1.1 million beds across 4,300 hotels. Guests are welcomed with passion and will enjoy excellent standards of customer service. 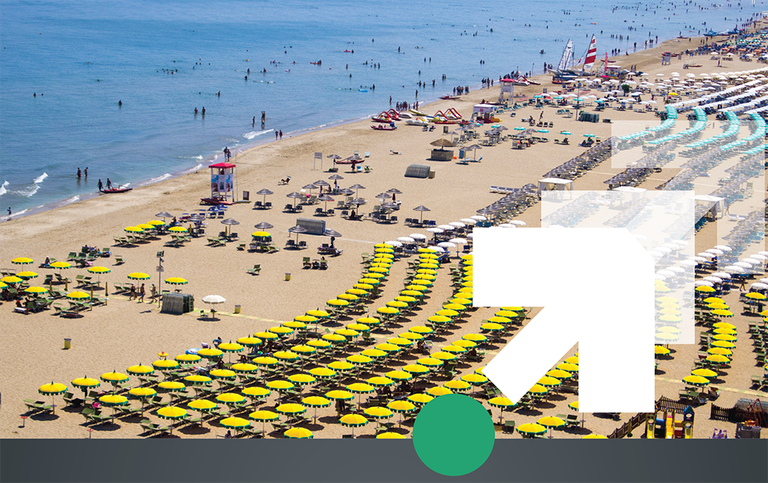 Emilia-Romagna is a highly-specialised product with broad appeal for the meetings industry, offering a vast range of experiences from leisure to cultural, to active and experiential. On the whole, the region can be considered an ideal business destination. The region’s cultural and creative industries play a key role in the development and quality of life of the local community. The production sectors cover cultural and artistic enterprises, media and cultural industries, creative services, artisan handmade products and food. In a more general sense, they also comprise the economics of creativity concerning innovative high-tech companies, the fashion industry, furniture and homeware products – all of which are linked to design. a very important artistic and architectural heritage.